In addition to a peaceful holiday in stunning scenery Mairela Retreat also offers the opportunity for Spiritual Retreat in the form of Holistic Healing Holidays. These take the form of daily healing sessions giving guests the opportunity to explore areas of their life which are not working as they wish, using energetic techniques. It is the unique aura of Mairela Retreat which creates a safe and loving space allowing guests to trust and blossom. Being away from the normal constraints of their daily life, guests can see more clearly that which is important and find their true self. Holistic Healing Holidays take many forms, each evolving to suit the highest purpose of individual guests. The intention held at Mairela is to show guests tools they can use for their own self healing, and ultimately to recognise that there was nothing to heal! Healing techniques mostly commonly used are Meditation, Reiki, Energy Healing, Qi kung, Nature Therapy, Shinrin yoko, guided forest walks, Shamanic work and an oil massage using home made oils infused with healing plants from the surrounding forest or from the retreat's organic garden. An individual Holistic Healing Holiday week at the Retreat is available for £600 per person which includes the cottage rental, and 10 hours of one on one sessions spread over 5 days. Half board (breakfast & dinner) is also available for £700 per person. 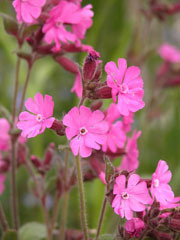 Holistic Healing Holidays can be tailored for more than 1 person if required. There is also the opportunity to spend a week living with your healer! Staying with Sara in her home for 7 nights with 5 days of activities, including Meditation, Reiki, Forest walks, Shamanic work, body awareness exercise and home made herbal oil treatment. 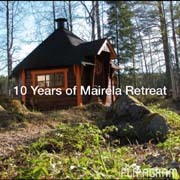 Fully inclusive of daily sauna, full board (guests help with meals) and locally collected herbal teas, with the possibility for Fasting days and helping out around the Retreat. Price is £900 per person or £1,600 for 2 persons (shared room). It is well known that if you sit next to someone experienced in meditation you'll find it easier to attain that level of awareness (frequency) because of their strong vibrational field. Imagine what you could experience living in with your healer for a week!! “I can truly see how immense and powerful the experience was. Mairela is such a beautiful place.. there is a pristine energy rising out of the earth and the air sings with it. It's definite and it's strong, and simply sitting by the lake, or high up on Kuhmoinen Hillfort, is enough to make your heart tingle and soar. I am in awe of the place.